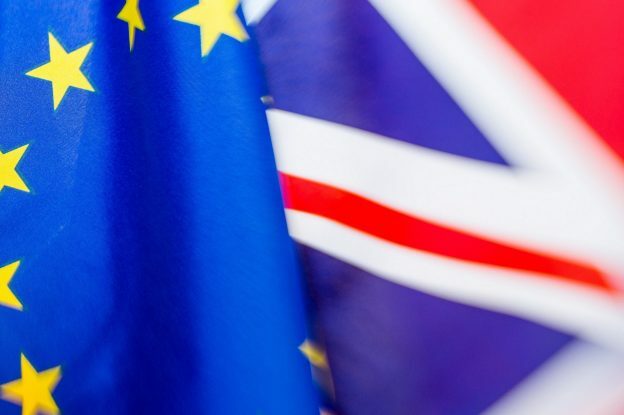 At a summit on Thursday 10 April, the European Union and UK Government have agreed to extend the Brexit deadline to 31 October 2019. This means that the UK will remain part of the EU until that date, unless the Government is able to secure a deal beforehand. The University’s Brexit Working Group, led by Jeremy Carrette, Dean for Europe, has been meeting for a number of months to prepare for Brexit, prioritising our response in the event of ‘No Deal’ with the EU. This group will continue to work on the various possible outcomes to ensure that – whatever happens – we are well prepared and are doing all we can to minimise disruption to our work. This will include long-term planning for Brexit to ensure continuity of relationships across Europe for teaching and research. 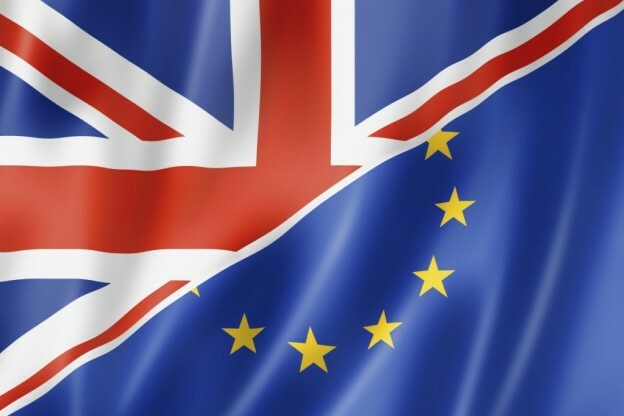 This entry was posted in Campus online, Medway Student, Post EU Referendum, Student Guide on 11 April 2019 by Tim Davies. The Department for Education has today (Tuesday 11 October) announced that European Union students applying for university places in the 2017 to 2018 academic year will still have access to student funding support. ‘EU students applying for a place at an English university or further education institution in the 2017 to 2018 academic year will continue to be eligible for student loans and grants – and will be for the duration of their course. ‘The decision will mean that students applying to study from 2017 to 2018 will not only be eligible for the same funding and support as they are now, but that their eligibility will continue throughout their course, even if the UK exits the European Union during that period. Further information is available on the Government website. This entry was posted in Campus online, Medway Student, Post EU Referendum, Student Guide and tagged Campus online headlines, post-euref on 11 October 2016 by Wendy Raeside. A new video featuring Kent staff highlights the huge number of European activities that members of the University are involved in. 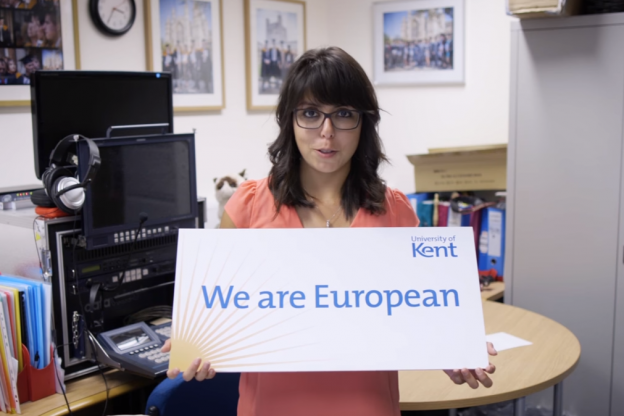 The new staff-focused video is part of the ‘We are European’ project, led by Dean for Internationalisation, Dr Anthony Manning and follows the success of a similar video featuring Kent students. 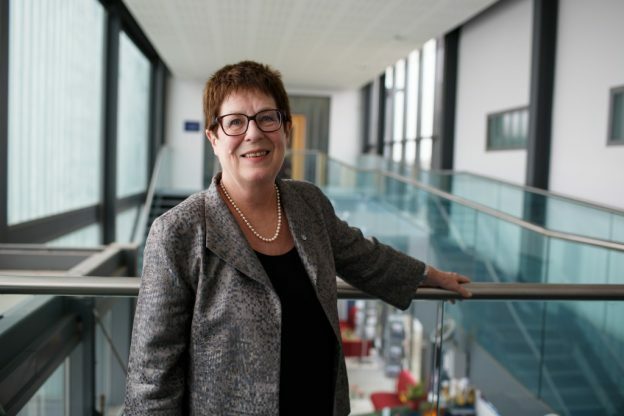 Dr Manning commented: ‘Kent is well-known as the UK’s European university. This video tries to capture how being part of the University of Kent gives staff and students a unique opportunity to take advantage of the many European and international dimensions that are available through study at this institution. Staff featured include: Alexandra Leduc-Pagel, Laura Garcia Rodriguez Blancas, Frank Mikus, Kimberley Attard-Owen, Professor Alex Stevens, Dr Amanda Klekowski von Koppenfels, Rosdip Rai, Dr Tom Casier, Lauren Frake, Sandy Relf, Catherine Butler, Catherine Kinsella and Alastair Ross. To find out more about Kent’s European and international connections, see the University website. This entry was posted in Campus online, Post EU Referendum and tagged Campus online headlines, post-euref on 11 October 2016 by Wendy Raeside. The University welcomes the announcement that there is no immediate change to the UK’s participation in the Erasmus+ Programme following the EU referendum result. According to a statement issued by Erasmus+, all participants and beneficiaries should continue with their Erasmus+ funded activities and preparation for the published application deadlines in 2016 and 2017. The UK National Agency will continue to manage and deliver the programme across the UK. This position is supported by the statement from Jo Johnson, Minister of State for Universities and Science, published on 28 June 2016. His statement also outlines some initial information regarding the UK’s future access to the Erasmus+ programme. This entry was posted in Campus online, Medway Student, Post EU Referendum, Student Guide and tagged post-euref on 29 June 2016 by Wendy Raeside. The University has reinforced its commitment to remain a European university following the vote by the United Kingdom to leave the European Union. We are proud to be an outward facing and international university. We are especially proud of our diverse student body and our European and international staff, and we recognise that we benefit greatly from this diversity. A vote to leave the EU clearly raises many questions; however, the exit process is likely to take a very long time and we may not see any proposals or changes that affect students for a number of years. there is no reason to assume any change to your immigration status. In short, we anticipate there will not be any change to your status as a student for the duration of your programme. Equally, if you are either a EU or UK student currently registered to study under the Erasmus programme, you continue to be eligible for your Erasmus grant as long as the UK remains a member of the EU, and could well be extended beyond this. The University is in contact with relevant government agencies and is seeking advice and guidance throughout the period of transition, particularly on the issues directly affecting our non-UK European students and we will alert you to any changes that effect you. You can read the University’s response to the referendum and other updates on the Student Guide. We will update this page with information on further developments as they occur. If in the meantime you have any specific queries regarding your application, please contact us via academicdivision@kent.ac.uk. This entry was posted in Medway Student, Post EU Referendum, Student Guide and tagged post-euref on 29 June 2016 by Wendy Raeside. Following the results of the referendum, the UK University Minister and the Student Loans Company have today confirmed that students from the European Union already attending UK universities will continue to receive financial support. Students starting university courses in the UK this autumn will also have their student loans funding provided for the duration. You can find out more from the BBC News site as well as the Student Loan Company. This entry was posted in Campus online, Medway Student, Post EU Referendum, Student Guide and tagged post-euref on 27 June 2016 by Miles Banbery. Following the EU referendum result, the Vice-Chancellor will be holding two staff and student Q&A sessions to answer any queries or concerns you may have . Julia will be joined at the Q&A sessions by colleagues from relevant professional service areas. Please book online, using the links below, if you would like to attend. This entry was posted in Campus online, Medway Student, Post EU Referendum, Student Guide and tagged post-euref on 24 June 2016 by Wendy Raeside. 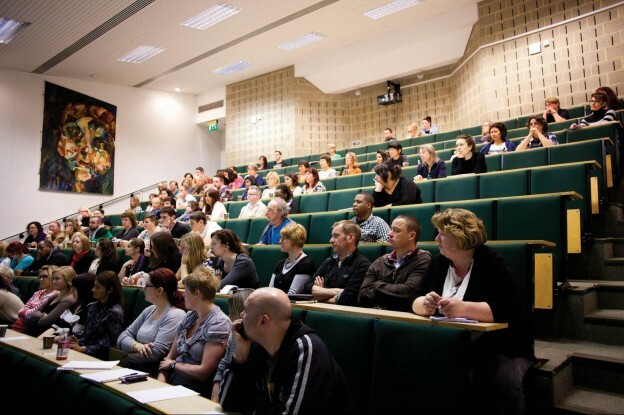 Barring unilateral action from the UK Government, members are advised that the vote to leave the European Union (EU) does not mean there will be any immediate material change to the UK university sector’s participation in EU programmes such as Horizon 2020 and Erasmus+, nor to the immigration status of current and prospective EU students and staff. Article 50 of the Lisbon Treaty foresees a two-year negotiation process between the UK and other Member States, during which time the terms of the UK’s exit from the European Union will be decided. Your immigration status has not changed as a result of the vote. This will remain the case until the Government decides otherwise. Your immigration status and associated fee status, as well as your access to the student loan book, have not changed as a result of the vote. This will remain the case until the Government decides otherwise. At this stage there is no reason to assume any change to your immigration status or access to student loan book. Your immigration status has not changed, and you continue to be eligible for your Erasmus grant until at least as long as we remain a member of the EU and could well be extended beyond this. The UK’s status as a full participating member of the Horizon 2020 programme has not changed as a result of the referendum vote and existing project grants and contracts will be honoured unless or until advised otherwise. Read the University of Kent’s statement following referendum result. This entry was posted in Campus online, Medway Student, Post EU Referendum, Student Guide and tagged post-euref on 24 June 2016 by Allie Burnett. Following the UK vote to leave the European Union, the University has reinforced its commitment to remain a European university and to continue to provide one of the best student experiences in the UK. ‘The University of Kent is proud to be outward facing and international. We are especially proud of our diverse student body and our European and international staff. We recognise that we benefit greatly from this diversity. The University will work with Universities UK and other agencies, seeking advice and guidance throughout the period of transition particularly on the issues directly affecting our non-UK European Union students and staff. Staff and students have been emailed and we will be arranging information events, faqs and other assistance over the coming days and weeks. In the meantime, any non-UK European staff members with particular concerns should contact Human Resources Department (M.Atkinson@kent.ac.uk). Non-UK European students should contact the Dean for Internationalisation in the first instance (deaninternational@kent.ac.uk).